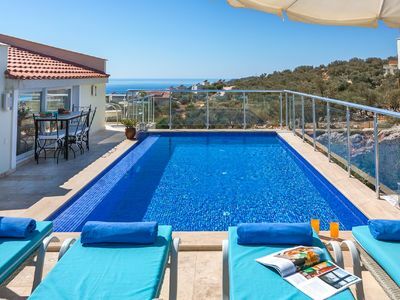 Close to Alanya, shopping areas, restaurants, and beach in Kestel - Alanya. Possibility for holiday stay for small groups. Check out the profitable price. 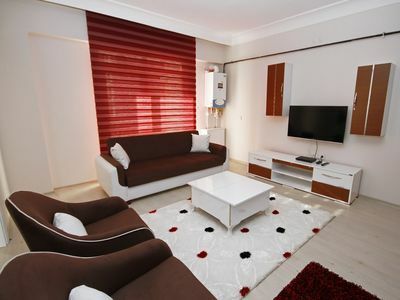 This apartment is located in Kestel 10 minutes from Alanya and close to the sea. 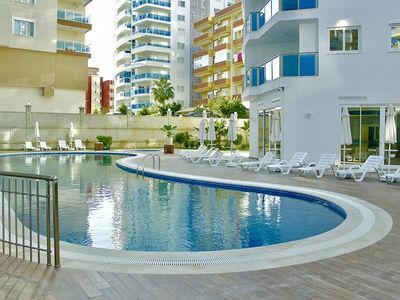 Close to Alanya Aqua-park and Alanya Culture Center. For those who enjoy discovering local restaurants and cafes, there is a good selection. Alanya Castle, McGhee Center for Eastern Mediterranean Studies and Alanya Harbor are just a 10-minute car ride from the property. PLEASE BE AWARE; Cleaning, Electric and water costs are not included in the rental price. Distance to bus 200 meters. A modern residential complex. The luxury apartment has a fascinating sea view. 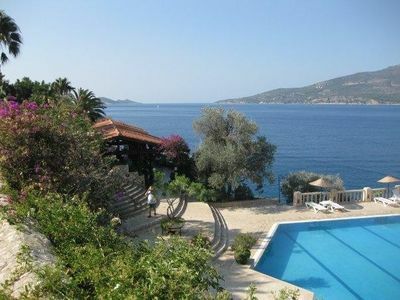 It has many facilities such as an indoor and outdoor swimming pool and restaurant. 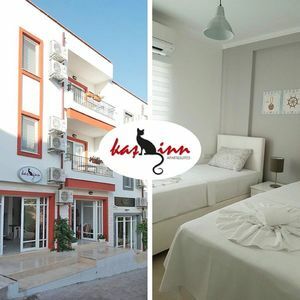 Modern luxury residential complex - Aquarium Life, with its developed infrastructure, gorgeous grounds, tropical garden, luxury apartments with panoramic views, is located in Kestel. 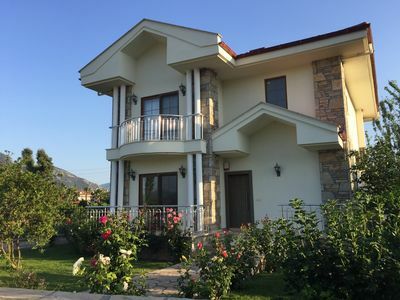 Kestel - the new developing, green and quiet area of Alanya, is just a few minutes away from Alanya City Center and is located between the Taurus Mountains and the Mediterranean Sea. 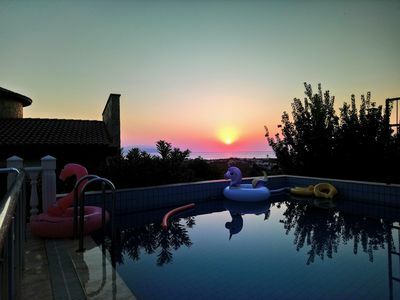 Kestel is the right choice for those who want to enjoy a relaxing holiday in a peaceful and quiet place. Sea View Apartment with Affordable Price! 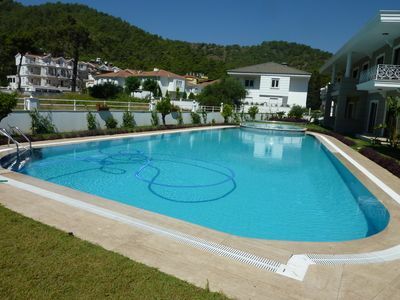 Aqua Residence is situated in a lush green area in Kestel, Alanya. 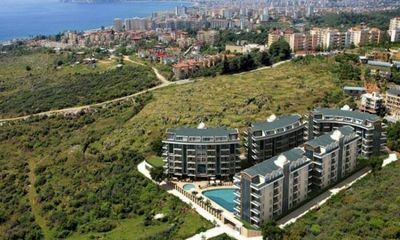 This new developing area is only 5 km to Alanya downtown and only 750 meters to the sandy beaches of Kestel. Aqua Residence has many amenities like swimming pool with aqua slides, 24/7 security and security camera, a caretaker, a sauna, a hairdresser salon, a fitness center, a cafeteria, a mini market, a Turkish bath, a cinema salon, a massage room, game room with billiard and table tennis, tennis, basketball and volleyball courts etc. 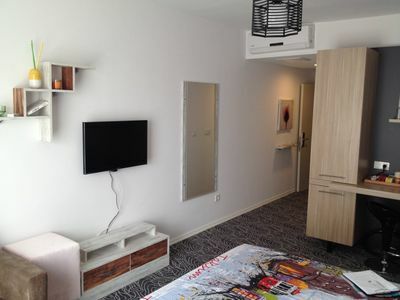 2 bedroom flat is 95-101 m² with a living room, an open plan kitchen, 2 bathrooms, and 2 large balconies. All rooms have air-conditioning. The flat has 2 bathrooms, furniture, wi-fi, electric water heater, and satellite TV system. 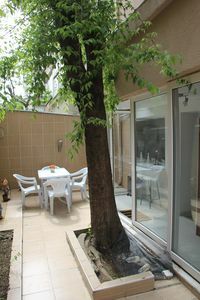 The apartment is also available for long term rent. Due to our longterm expertise, we can organize within your budget planning. We are partners with the right people with the right expertise. You can contact us for further assistance. If you need more information please send us a message with your request. Please specify your question. We will send you a reply with the required information. - Checking in, at APPOINTMENT, after 23. 00: E15, - extra. - The maximum check-out time at the day of departure is 11.00 hours. Late departure is possible till 13.00 o'clock, in consultation and against payment. - All animals in consultation for an extra payment or E 15, - a day. - After 23.00 hours it should be quiet at all the terraces. - Non-smoking - No public drunkenness or drug use on the entire property. Cannabis is referred to drug use and illegal. - For safety reasons, it is forbidden to swim in the river. - The chambers are provided with 4 towels. The beds are made. 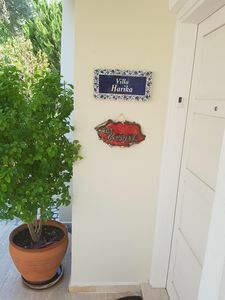 We wish all our guests a pleasant stay in the Housing property provided by Oh La La Mosae. 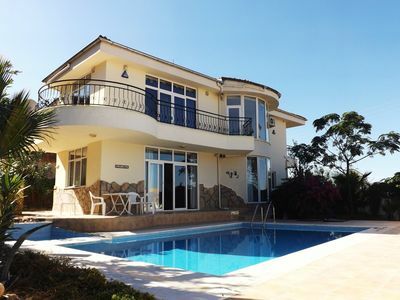 Great villa for families and groups. BOOK NOW ON THE LATE DEAL RATES. 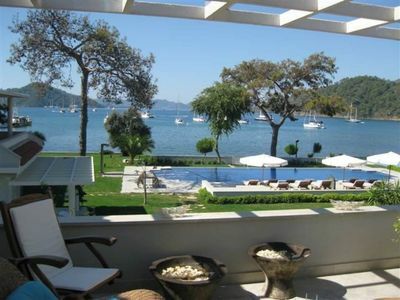 Rental Luxury Apartment in Gocek With Marina View. 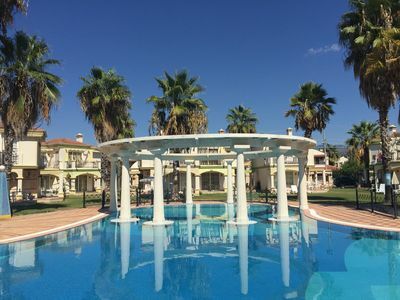 The apartment has two spacious double bedrooms 2 bathrooms (1 with a jacuzzi), 2 terraces, communal swimming pool, GYM, 24/7 security service and more..